During Theodore Herzl's time, there was no great surge of Jews who returned to their homeland. The prospect of being a pioneer in the midst of a wilderness was not appealing enough to draw the Jews back home, despite the rising anti-Semitism they were experiencing. 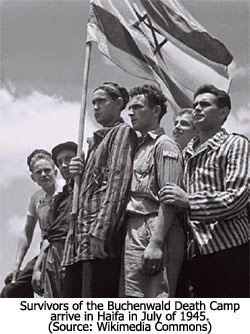 World War I provided the land for the Jewish nation, but it would take World War II and the Holocaust to provide the motivation to return to the land. 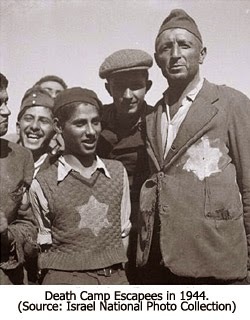 The Jewish people came out of the Holocaust proclaiming, "Never again! Never again! We are going to have our own land and our own state, and we are going to govern ourselves!" But the world's largest Jewish population was unable to return to their homeland because they were held captive in the Soviet Union. The Russians hated the Jews, but they used them as whipping boys — blaming them for all their nation's problems. 5) Do not fear, for I am with you; I will bring your offspring from the east, And gather you from the west. Notice that this prophecy says the Jews will come freely from the east and the west, but the world will have to demand that those in the north be released. All directions in the Bible are given from Jerusalem. The uttermost part of the north would be the nation of Russia today. Note also that the prophecy says that the world will have to say to the south, "Do not hold them back." We will see in a moment what that refers to. But first, let's take a look at the north. In fulfillment of this prophecy, as the Soviet Russian empire began to crumble in the early 1990s, the world began to demand that the Russian Jews be allowed to return to Israel. And in 1990, the Russian premier, Mikhail Gorbachev, suddenly opened the door of the Soviet Union. 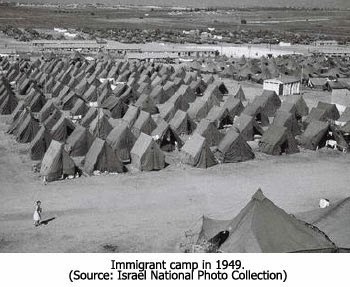 The result was a flood of refugees into Israel. During the next two years, almost 400,000 Russian Jews arrived in Israel, averaging over 16,600 a month.11 It was equivalent to the United States today absorbing the entire 27 million population of Saudi Arabia during the same time period. They would have to abandon all valuables. They would face the necessity of learning Hebrew. They would have to live in minimal housing. They would face military service. They would find a non-existent job market. They would have to pay some of the highest taxes in the world. They would face the constant threat of terrorism and war. They were fully aware of these stark realities because all of them had relatives living in Israel. Yet, despite all these hardships, they came. Why? I believe they came, and are still coming, because God has placed in the hearts of the Jewish people the highway to Zion, and He has triggered the impulse for them to return home. Consider Psalm 84:5 — "How blessed is the man whose strength is in You, in whose heart are the highways to Zion!" In the fourth segment of our series on the prophetic fulfillment of the regathering of the Jewish people, we'll be amazed by the logistics of Operation Solomon. 10) Jewish Virtual Library, "Fact Sheet: Jewish Refugees from Arab Countries, www.jewishvirtuallibrary.org/jsource/talking/jewrefugees.htm. 11) Jewish Virtual Library, "Immigration to Israel: Total Immigration, from Former Soviet Union (1948 - Present), www.jewishvirtuallibrary.org/jsource/Immigration/FSU.html. Is it just a desire for a Nation of Israel or a desire for The Lord in a Nation of Israel? This desire is odd to me because worship of The Lord can happen anywhere. The Lord is for all people. This desire The Lord has put in their hearts seems like ' nationalism' so where is the desire for true God? Not debating just asking because it seems against what God wants and that is to come to Jesus and that can be done anywhere and that is for our eternal salvation not just survival of a people.??? I think right now it is a desire for a nation (mostly for self preservation). The desire for God will come after Israel is saved from the Russia attack and they are supernaturally saved. But the desire for Jesus won't come for the Jews until the end of the Tribulation and He is their only hope. Billy, thank you for your response. That makes sense to me and being one nation supernaturally saved will bring them all to call Him Lord. god Bless! Seems the world is very close to the prophecy wars. The hook God puts in the mouth of the ones who come against Israel is soon to be taken. This is a time to pray as much as possible for all people to come to Jesus Christ now. The time is short. The bible says the generation who sees these things will not pass..... Well we know the rest of the story. Thanks. It's good to know I sometimes get it right...and the credit for that is thanks to the excellent learning tools I get from Lamb & Lion. God bless to you and Anon, too.